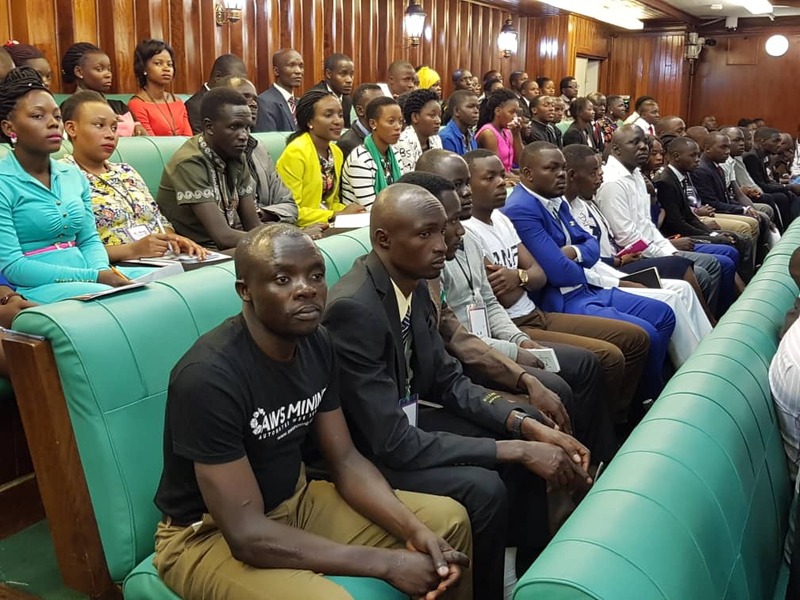 PARLIAMENT – Ugandan youths have petitioned Speaker Rebecca Kadaga, asking Parliament to review the nomination fees for both Presidential and Parliamentary candidates saying the current fees are so high and locking them out of public office. The request was made on Friday, August 10, during the National Youth Parliament, where they argued that the decision by Parliament to increase the nomination fees is discriminatory and intended to keep incumbent MPs hold onto power, at expense of youths who would like to throw their weight to represent their people. While addressing the youths, Kadaga concurred with the youths noting that there is need to reduce the nomination fees from, so as to give chance to all Ugandans. “I support you on the issue of nomination fees, although I can afford it, I don’t like it. It is denial of access to public office because you can’t get nominated, you can’t compete so it is wrong so when we are reviewing the law. How can it jump to Shs2M. Let us review it to at least Shs400,000 so people of Uganda can have access to public office,” Kadaga said. In September 2015, MPs passed into law the Presidential Elections (Amendment) Act 2015 and Parliamentary Elections (Amendment) Act 2015 into law that saw the presidential candidate nomination fee increased to Shs20M, from the original Shs8M, while nomination fees for MPs were increased from Shs200,000 to Shs2M. The Legal and Parliamentary Affairs Committee, that handled the Bill justified the amendments on grounds that the Shs200,000 was fixed in 2005, yet inflation had since risen, creating room to have the nomination fees revised for the two offices. While Government had proposed to raise facilitation for each presidential campaign candidate increased to Shs50m from Shs20M, the MPs rejected the request warning that there was no need to create room for unserious people to join the race, just to get that money. But the then Leader of Opposition, Wafula Oguttu cautioned Parliament against hiking nomination fees saying it would appear that Parliament is simply making laws to serve their interest, instead of all Ugandans. Legislators of the 9th Parliament rejected Oguttu’s pleas and went on to pass the law, a decision that was met with protest in public to the extent of attracting a court battle in constitutional court. Two members of the Conservative Party; Iddi Ouma and Paul Ssembajjwe dragged Government to the constitutional court, seeking an interim order barring Parliament from effective the arguing that the Act if implemented, would block many people from seeking leadership positions. However, Justice Remmy Kasule rejected their request stating that an interim order against the nomination fee would stop the entire nomination, campaign and election process for presidency. Justice Kasule further argued that the amended laws had already been operationalised with some presidential candidates having paid the Shs20M nomination fees.